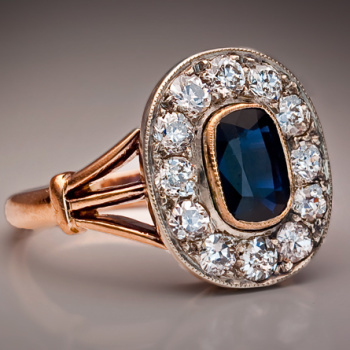 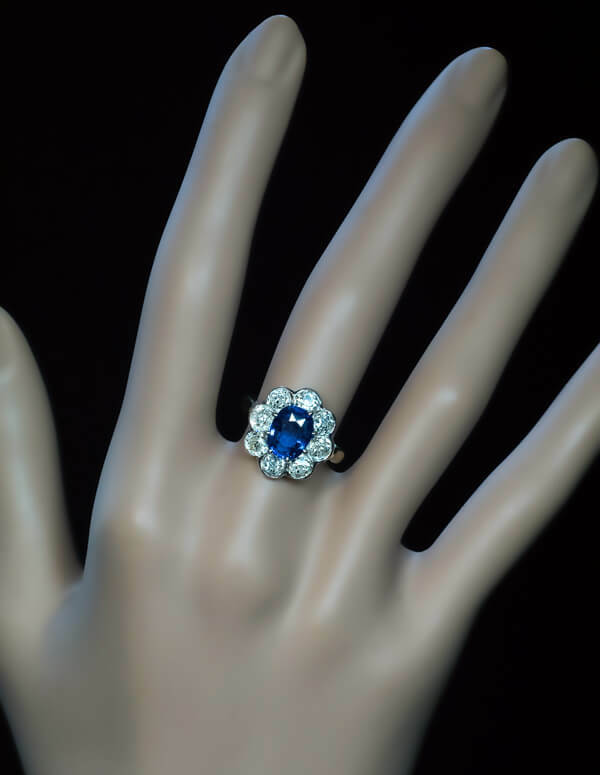 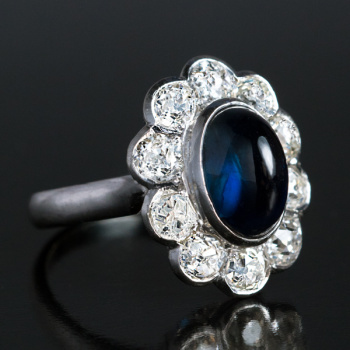 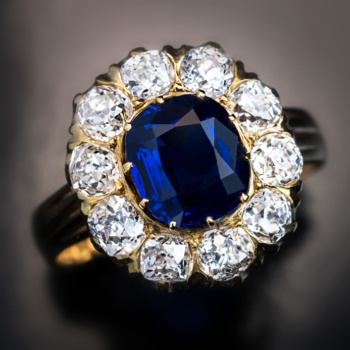 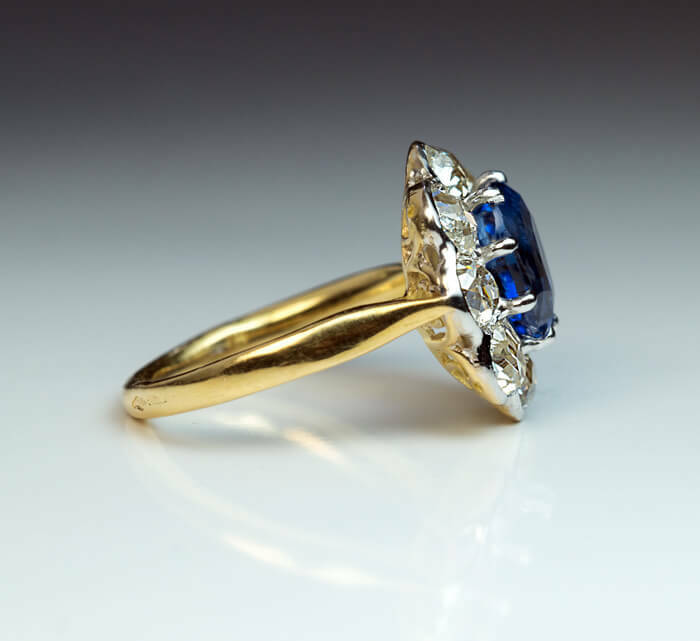 A platinum topped 18K gold ring of a classic cluster design is centered with a cushion cut natural sapphire of a superb medium blue color surrounded by eight sparkling old mine cut diamonds (J-K color, VS2 – SI1 clarity). 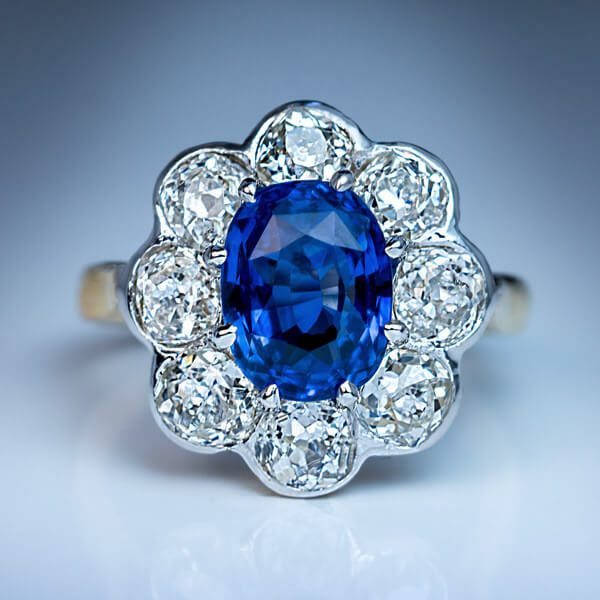 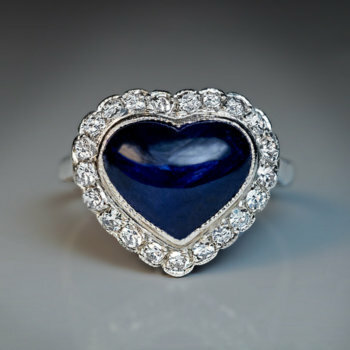 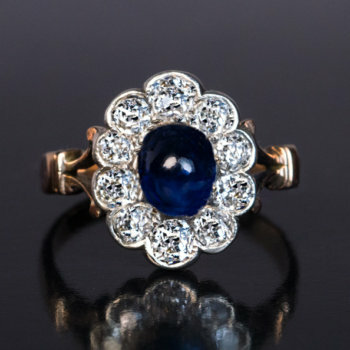 The sapphire measures 8.7 x 6.8 x 4.5 mm and is approximately 2.34 ct. 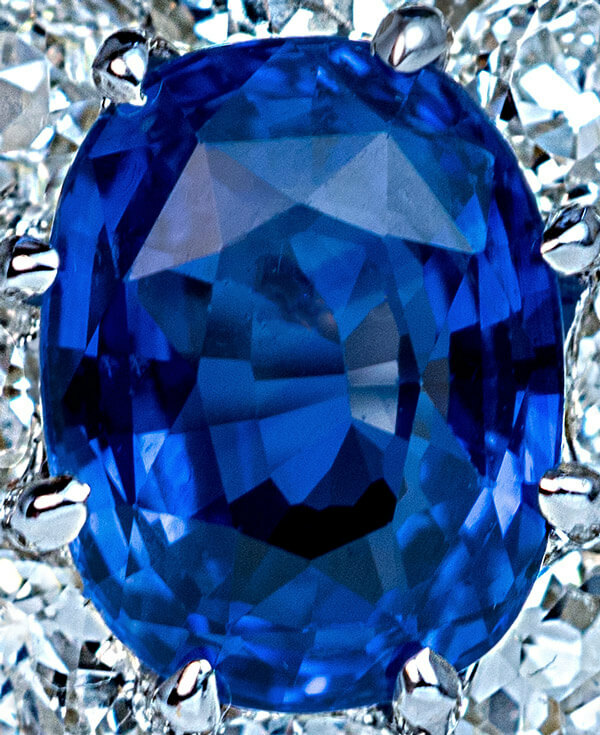 Estimated total diamond weight 2.30 ct. 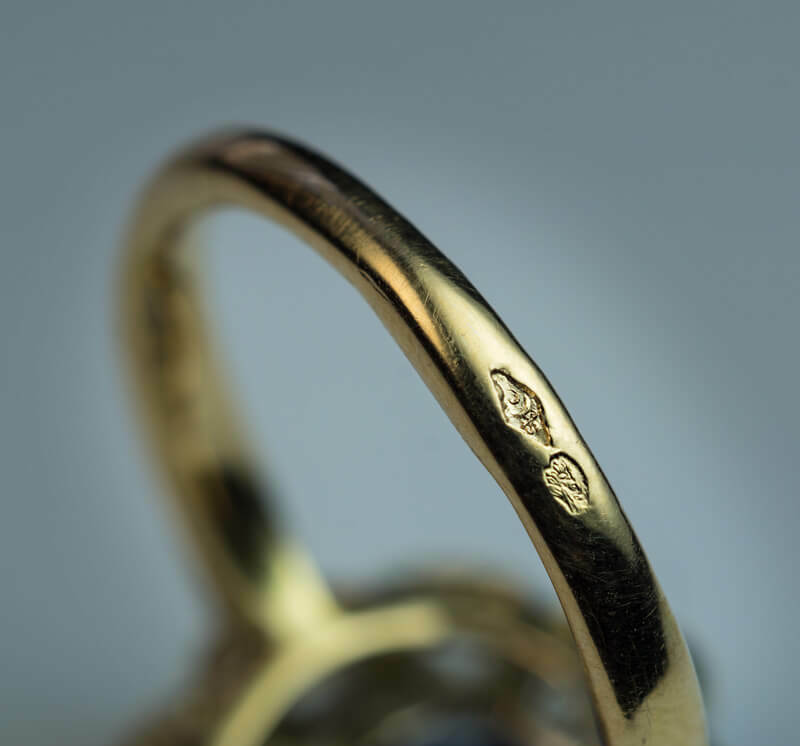 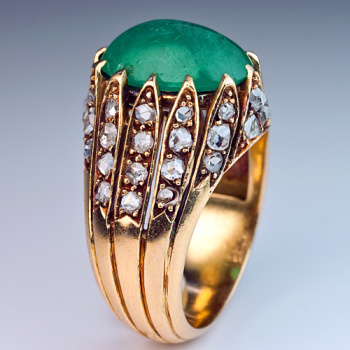 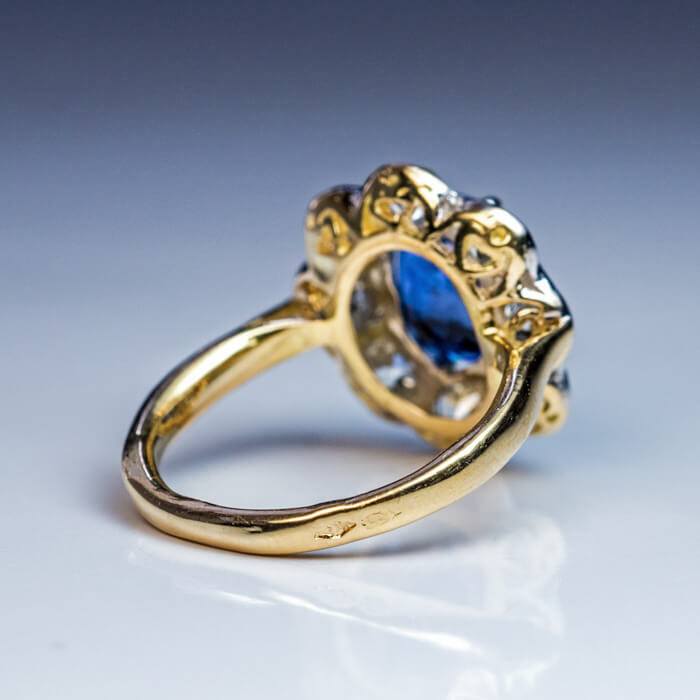 The ring is marked with French eagle-shaped assay mark and maker’s mark.